Blue card with a red heart. A birthday, wishes or say thank you every occasions is good to send a card. 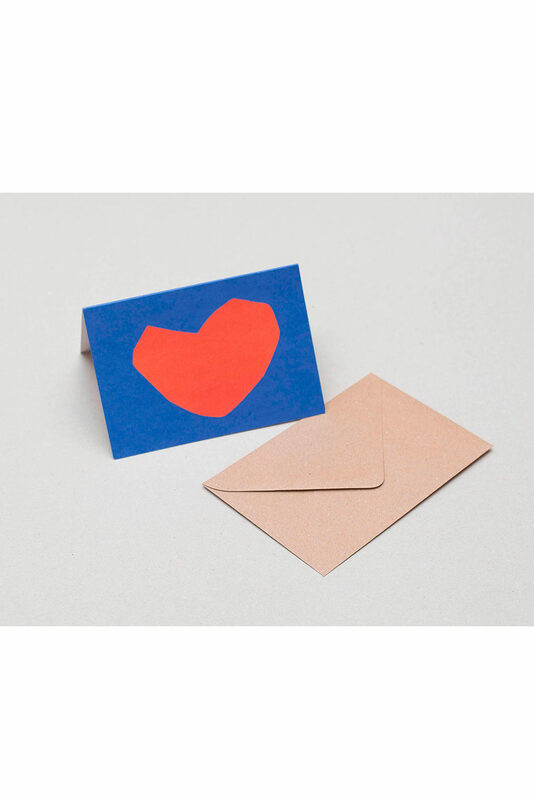 Carte bleue avec coeur rouge dessinée. Un anniversaire, des voeux ou dire merci, toutes les occasions sont bonnes pour écrire un mot. Format: A6 format (21 x 15cm) opened. Material information: 100% recycled paper, hydrogen peroxide and soap bleached paper, chlorine-free. Cardboard cover (250gr). 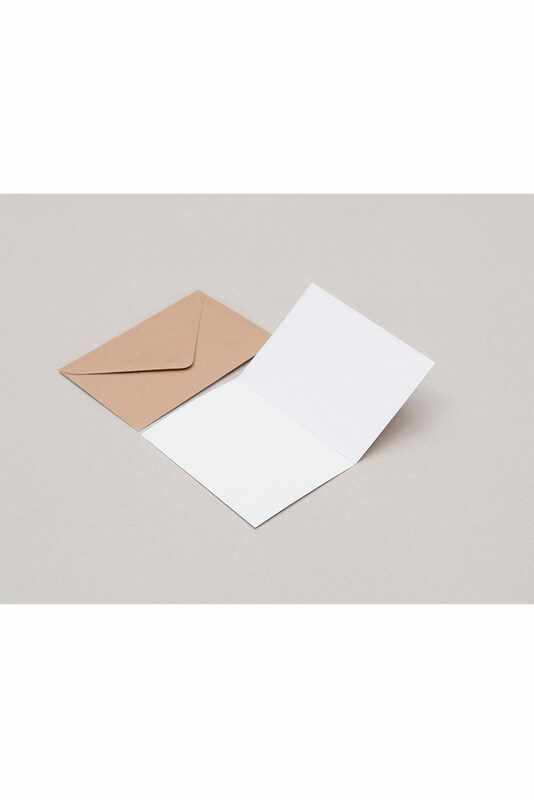 Recycled kraft paper envelop.